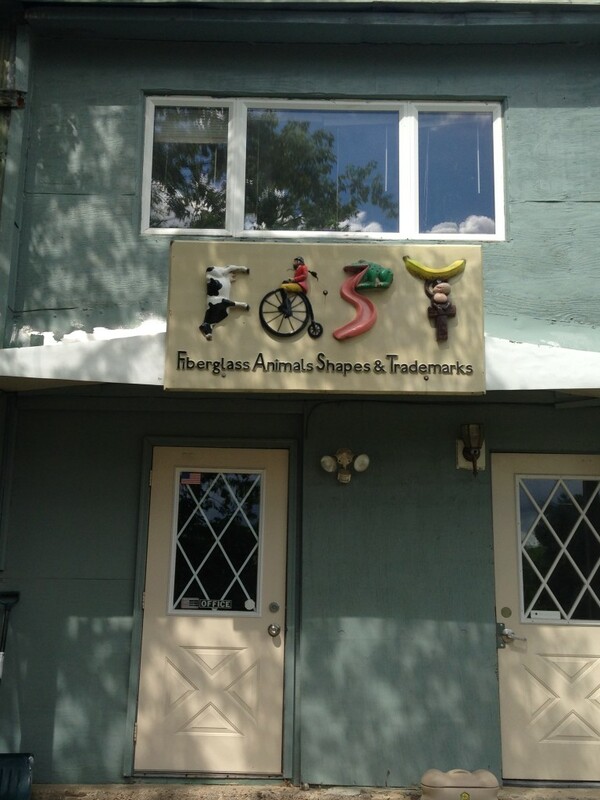 Serving as not only the birthplace for hundreds of roadside attractions across the country, F.A.S.T. 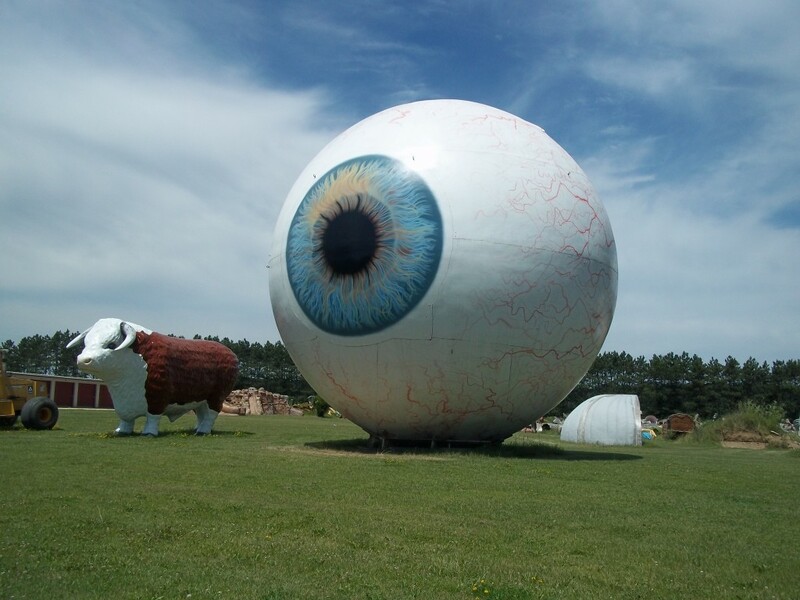 Corporation in Sparta, WI is also somewhat of a mecca for roadside attraction enthusiasts. 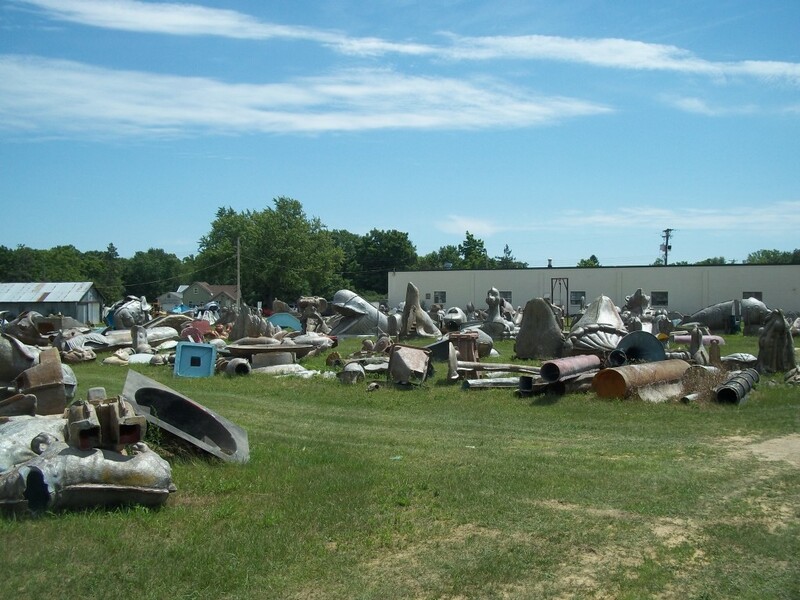 Located adjacent to their workshops is a roadside attraction graveyard of sorts, a junkyard where the molds used to create the pieces, many of which you’ve seen on this site, lie strewn about, encouraging visitors to walk among them and reminisce on where they may have seen them before. 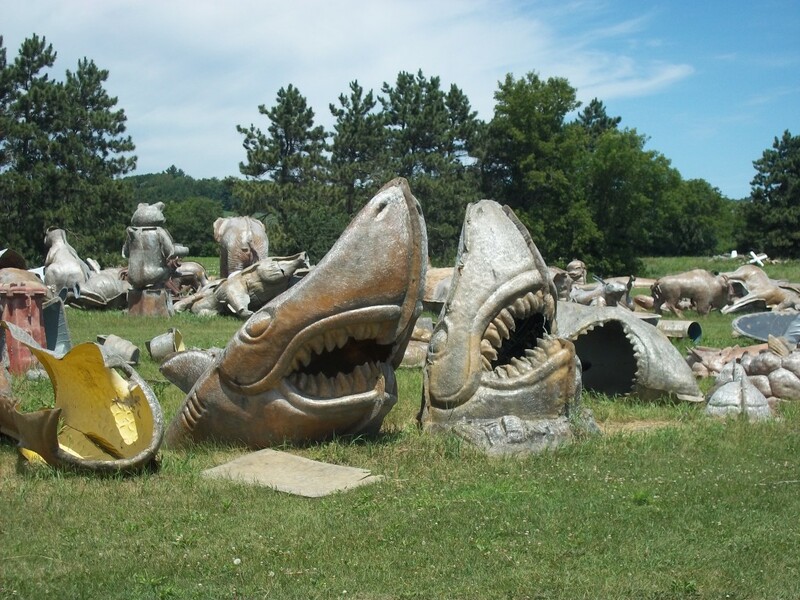 F.A.S.T., an acronym for “Fiberglass Animals, Shapes, and Trademarks,” has been pumping out roadside attractions for over 30 years to different towns, businesses, mini golf courses, water parks, amusement centers, restaurants, and anyone else in need of a fiberglass statue. They run year-round, and re-use many of the molds, which are stored out in the bone yard next door. There is no cost to explore the junkyard, although you are warned to explore at your own risk, not to climb on the objects, and look out for the occasional wasp nest. Otherwise, enjoy. 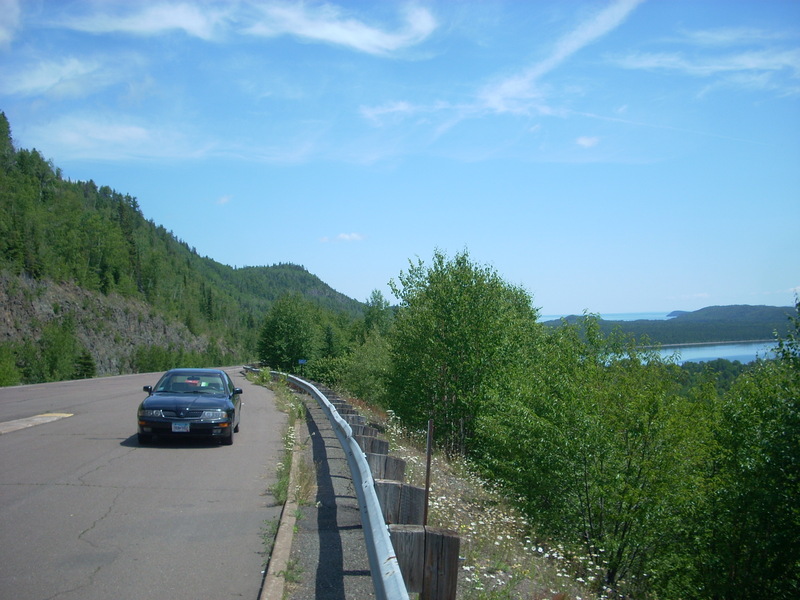 The facility is equipped with a front office building, several shops where the masterpieces are created, and a lineup of current attractions on display by the road (below). Dozens of the statues made here are featured around Wisconsin Dells, as well as dotting the countryside in neighboring states such as Minnesota and Illinois, but they will ship to all parts of the country, even internationally. Their website shows how extensive their catalog is, how far their work has traveled, and just what they are capable of. You can even stop into the office and pick up a copy of their catalog for a few bucks if you want a souvenir. So it should come as no surprise that the town of Sparta itself is stocked with roadside attractions, like an Astronaut, a Spartan (the school mascot, of course) and a bear on rollerskates outside of a drive-in. Sparta also bills itself as the “Bicycling Capital of America,” with the Elroy-Sparta and La Crosse River bike trails passing through town. 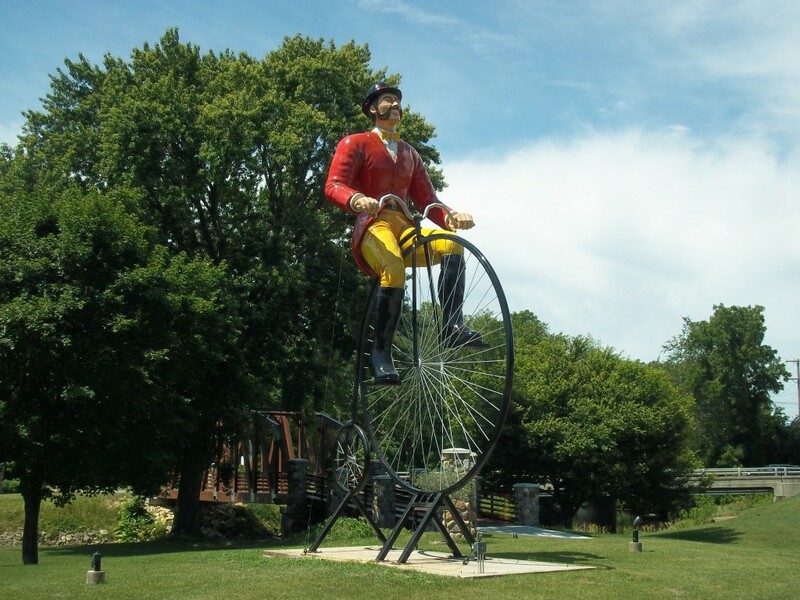 So, naturally, a giant 30-ft bicyclist known as “Ben Bikin,” was erected right in the middle of town (see below). While in the area: Obviously biking is a popular activity, and the visual cacaphony of Wisconsin Dells is just down the road, or head north a few miles and check out the Wegner Grotto. Summertime is ideal for most of this. 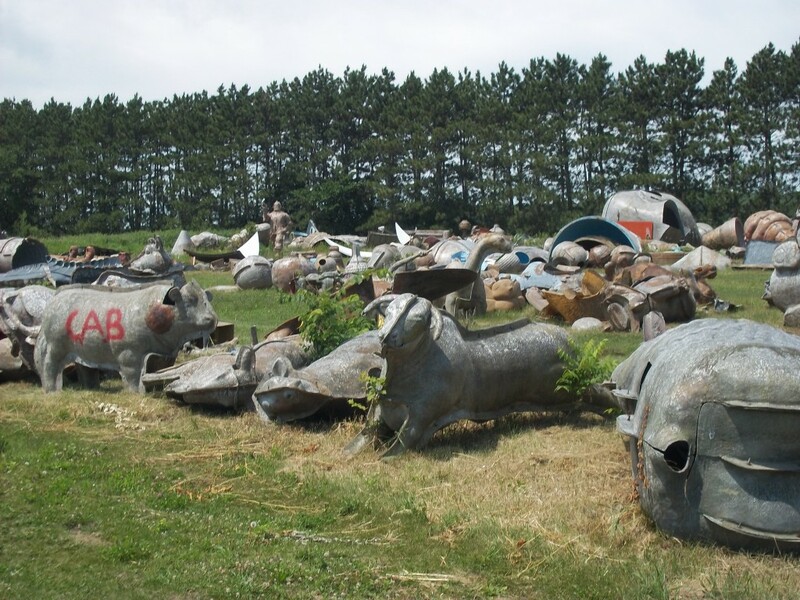 This entry was posted in Highway Highlights and tagged F.A.S.T., junkyard, Roadside Attractions, Sparta, WI by Seth5544. Bookmark the permalink. Great story! I would love to see this in person!